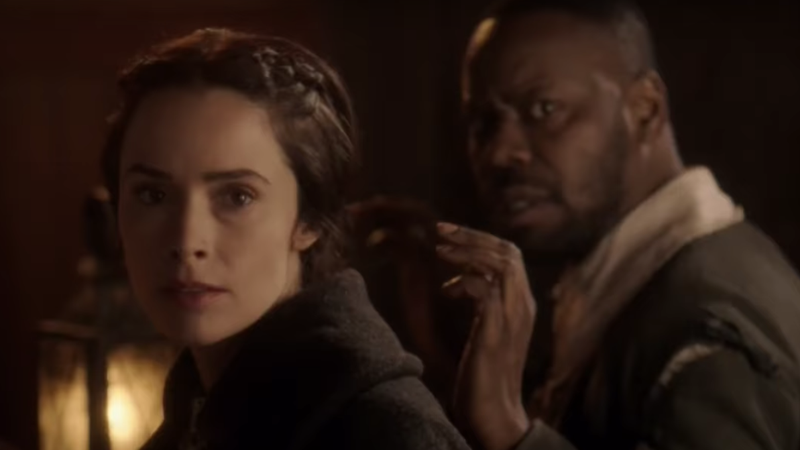 From left to right: Lucy (Abigail Spencer) and Rufus (Malcolm Barrett) from Timeless. NBC scifi drama Timeless got a second lease on life last year when it was revived after being briefly canceled. Now, the folks involved with Timeless say the time travel adventure’s second season will be offering a more expansive and inclusive survey of American history. Other historical figures coming to Timeless season two include scientist Marie Curie, suffragette activist Alice Paul, and black race-car pioneer Wendell Scott. The new season starts this Sunday on NBC.